Modular Komi collection with its original design and colour mix will allow you to create a perfect room for your children. It has been created out of the high quality laminated board with ABS edges to ensure its durability. 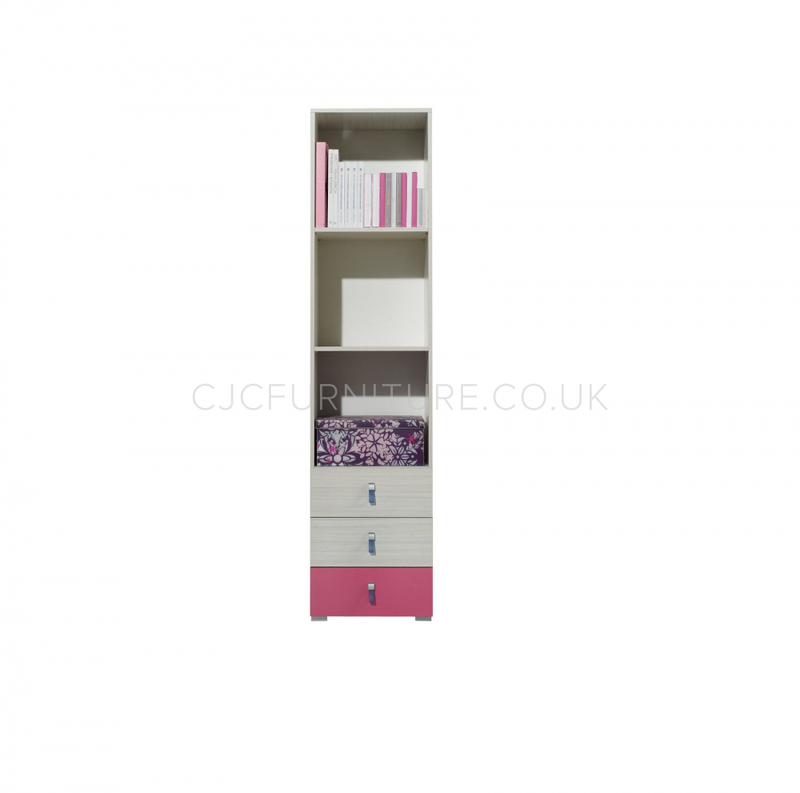 KM5 BOOKCASE is an absolute astonishing addition to your child’s bedroom with its unique shape and functionality. It consists 3 spacious drawers and a few original, open shelves for all you child’s trophies, photos, diplomas and other ornaments. This functional piece of furniture will help your child keep the room neat and tidy. It is available in a mix of ash wood veneer with pink or ash wood veneer with blue.